Though this idea of the kingdom of God is unfamiliar to us, it would have been familiar in large part to those who heard Jesus. They understood, in other words, the kind of thing he was proclaiming. That is because all of the Old Testament points toward the establishment of just such a kingdom. Er, no. That’s not correct. When we think things like that, we misunderstand both Jesus and the people who heard him. Doesn’t sound like cheery stuff, this day of the Lord. But what we need to not miss is that it is cosmic. It marks the end of the world as we know it. But the good news is that it marks the end of the evil age—the age of sin and death and the dominion of evil—but the beginning of the age of the ages, when God himself would personally rule the world and all the peoples in it. And far from being a one dimensional hope like “God will overthrow the Romans and we will be free” or “God will forgive our sins so we can go to heaven when we die,” God’s reign would impact every aspect of every human life. It was an eighteen-dimensional hope, to be precise—and Israel knew that it was a hope not just for their nation, but for all of the nations of the world. At www.livingintheoverlap.com, Steve Schaefer has a great free downloadable chart of the eighteen dimensions of what the Old Testaments prophesied that the Kingdom of God would mean. Buy Steve’s book. Download his chart. 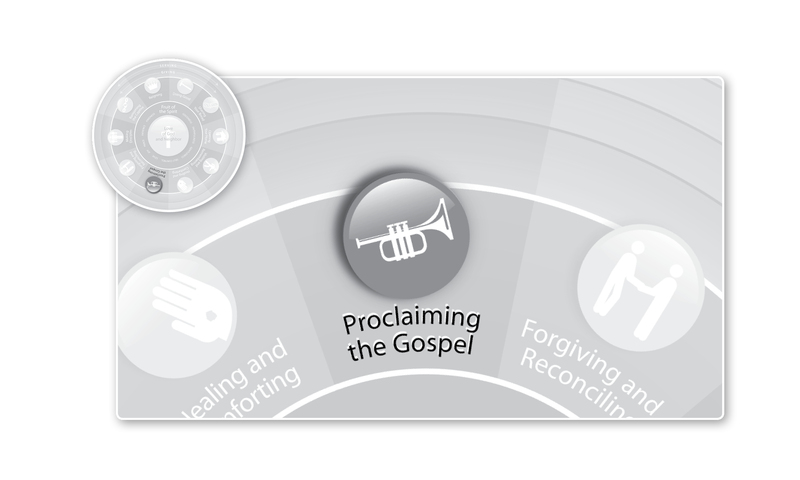 And return next time as we review those eighteen dimensions and discuss how they can and should form the basis of our undertaking the Work of Mercy of proclaiming the gospel. You can catch my whole message on Proclaiming the Gospel via the free .W weekly podcast. Or, see a video clip from this series at DOTW.TV. This entry was posted in Uncategorized and tagged Christianity, Church, Discipleship, Evangelism, Jesus, Kingdom of God, Proclaiming the Gospel, Whole Life Offering, Works of Mercy. Bookmark the permalink.